If you are looking for information on the USA Mobile Drug Testing franchise business opportunity, USA Mobile Drug Testing franchises or USA Mobile Drug Testing franchising, then you have come to the right place. Why is buying a USA Mobile Drug Testing Franchise a smart decision? USA Mobile Drug Testing is a nationally advertised MOBILE DRUG TESTING Franchise business. 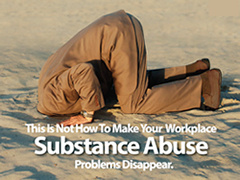 USA MOBILE DRUG TESTING supports the national need for and promotes a "drug free workplace." The need for drug testing in every industry is increasing rapidly. The hands-on, no-nonsense approach of the USA MOBILE DRUG TESTING franchise management group comes from the real-world experience of its team members. 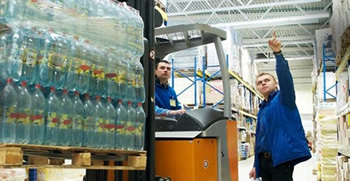 Our key personnel have held senior management positions in national and international major companies. We know how to drive business to market! What does USA Mobile Drug Testing provide? USA MOBILE DRUG TESTING provides all the benefits of a proven business model. USA MOBILE DRUG TESTING is a business in high demand, in an industry that is experiencing rapid growth. USA MOBILE DRUG TESTING offers a complete package: training, marketing, support, and inventory. This means a much higher success rate for you! How much time do I need to spend in my USA MOBILE DRUG TESTING Franchise? The amount of time you will spend on your franchise will vary depending on how you choose to run your franchise. Some Franchisee's will opt to manage their USA MOBILE DRUG TESTING franchise themselves so they don't need to pay someone else to do this, increasing their total cash flow from the business. Others provide cash for the investment, and hire a certified manager to operate their USA MOBILE DRUG TESTING franchise business. Is there someone to guide me through the USA MOBILE DRUG TESTING Franchise process? Absolutely! You begin by working with our Business Development expert, who helps you find your territory and understand the business model. We will be there for each step of the process and will provide on-going assistance to you in your efforts to get your USA MOBILE DRUG TESTING franchise open and operating in your territory. Just get in your vehicle and MAKE MONEY! !